A retaining wall is a structure that holds or retains soil behind it, but this is the least of what it can be. 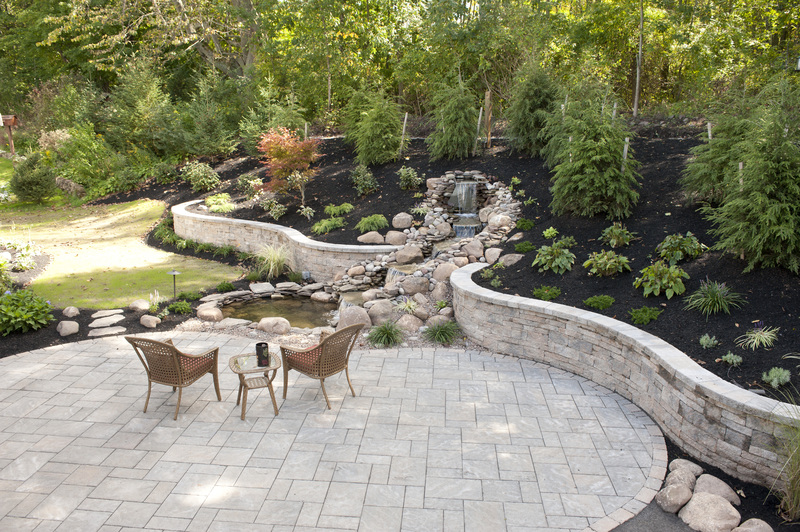 A retaining wall can hold back a hillside and turn steep slopes into usable space, it can be used to stop erosion, and it can be a feature in its own right, elegant and beautiful. There are many types of retaining walls such as interlocking concrete landscape blocks, treated timbers, and rocks or boulders. Interlocking concrete can make an elegant wall line reminiscent of castles and old English manors, rocks and boulders can add a natural feel to your garden while defending against erosion. We can help you identify the effective, yet beautiful structural design that fits your space. Cardinal employs installers with extensive experience with the design and installation of structurally superior retaining walls while adhering to industry construction standards. Everyone was knowledgeable and knew their business. Thanks again.